Uff! Chubhthi jalthi garmi ka mausam aya! Summer is back again! People are dying due to sunstrokes and due to the lack of drinking water. Whether it is Summer or Rainy season, it is our duty to save water. Creative Nails is listing a few easy ways to save water. If you’re collecting rainwater, be sure to mosquito-proof your collection system. Due to water rights laws, collecting rain water may be illegal in your area, so check with your community or county first. If you choose to reclaim gray water for garden use, make sure that any soaps or detergents you use are safe for that purpose. Don’t use gray water for food plants. ← Swachh Bharat Abhiyan on Nails! Great mani and great tips too! That is a very nice pattern and great theme to post about. Fantastic and informed post! 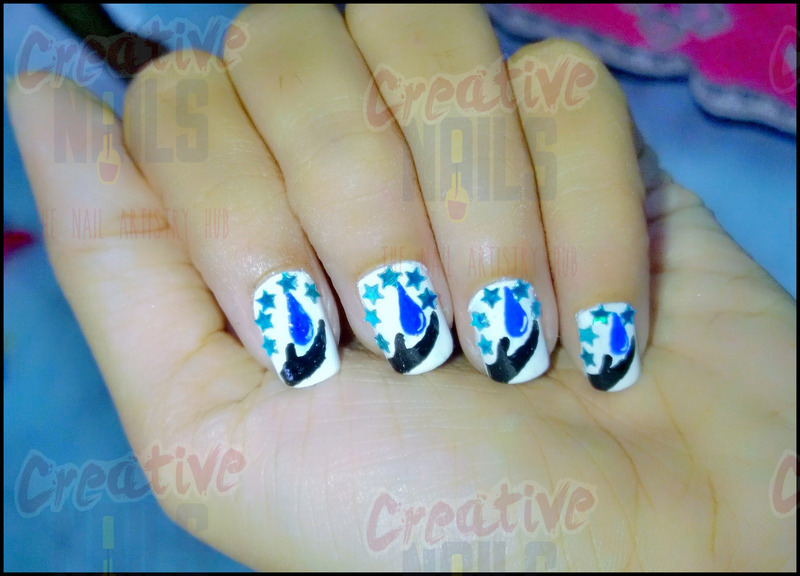 And wonderful nail art to compliment it well done! I have nominated you for the ‘Sisterhood of the World’ Award and i would love to read your answers. Sorry if you have already done one.